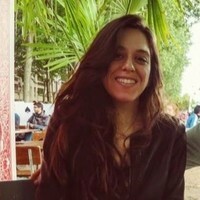 Rebecca Rosman is a freelance journalist based in Paris. Her stories have sent her to Cuba, Nigeria, Senegal, Morocco, Israel and all over Europe. She is originally from Chicago. Dozens of French children are stranded in Syria as the battle against ISIS winds down. Many are under the age of seven. Will fear prevent these children from returning to France? Running a program like this is a big deal for the girls, who come from the poor outskirts of Agadir, a sleepy Moroccan city facing the Atlantic Ocean. In France, the dropout rate at public universities is high — only 40 percent make it past the first year. That's one reason the French government is overhauling its rules on higher education, but some say the changes "break the way universities work." Women and girls in a cluster of small Moroccan villages used to have to walk up to three hours a day to fetch water. Now, the villages get all the water they need from a new system of fog nets in the nearby mountains, and that means a lot more time available for work and school. In France, most people retire at around 62 years old. But it wasn’t until he turned 100 that Robert Marchand set his first world record in competitive cycling. Finland has a law on the books that allows street harassers to be fined on the spot. But it's not as comprehensive as you might think. Amsterdam has a beer habit. It also has a big flooding problem. Now a local entrepreneur is trying to put the city's thirst for beer to use in reducing its flood risk. These trash pickers used to have miserable jobs. Now they run their own recycling cooperative. Fifteen million people around the world have perhaps the worst job imaginable: scavenging junk from the world's dumps. But in Morocco, a group of trash pickers has made the transition to well-paid employees of a new recycling center. And they hope it's an example others can follow. There have been growing fears among Jews in France since high-profile anti-Semitic attacks in 2015 and 2016. Now some Jewish parents say they're worried about anti-Semitism in French public schools.